MINNEAPOLIS, Minn. (September 2017) – Kraus-Anderson Construction Company (KA), one of the Midwest’s oldest and largest commercial general contractors and construction managers, has completed two major projects for Stillwater Public Schools. 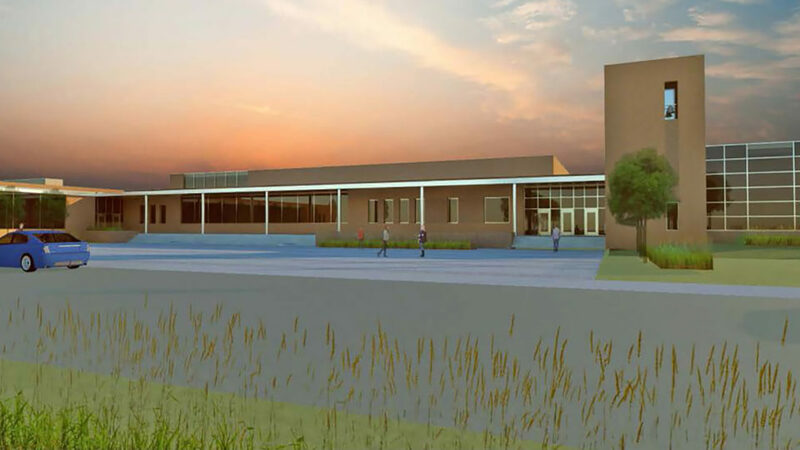 Just in time for students returning to school in the fall, projects included construction of the new Brookview Elementary School, as well as a 9th grade addition and new athletic complex at Stillwater High School. Brookview Elementary, located at 11099 Brookview Rd. in Woodbury, Minn., is a new 74,000-square-foot, $18.6 million facility that can serve up to 600 students grades K-5. Designed by BWBR Architects, the new school features individual classroom pods that open to a common learning space. Construction included a 6,000-square-foot assembly gymnasium with an open cafeteria overlooking soft and hard play grounds, baseball field and retention ponds. A ribbon cutting ceremony will be held at 6:00 p.m., Tuesday, September 12. The high school, located at 5701 Stillwater Blvd. N. in Oak Park Heights, Minn., will add 9th grade students to the school this fall, calling for significant renovations and reconfigurations. Construction consisted of three separate two-story additions and interior renovations, including an 80,000-square-foot Pony Activity Center, which incorporates a four-station gym with an elevated running track. Also designed by BWBR Architects, the $47 million, project includes a gymnastics addition with locker rooms, weight room and cardio facility; new practice field; and ticketing, concessions, restrooms and main entry to Pony Stadium. Two of the wings, totaling 55,000 square feet, feature science labs, classrooms, cafeteria and kitchen, as well as an auditorium upgrade with orchestra pit. A ribbon cutting ceremony will be held at 4:00 p.m., Friday, September 15. Kraus-Anderson also was working simultaneously on three additional projects at Stillwater High School. Two of the projects included constructing more Humanities classrooms and STEM classrooms to the new 9th grade addition. The third project included a new 140,000 square-foot athletic complex, featuring a four-station gymnasium, gymnastics court with three pits, and ticketing and concession booths. Weight and cardio rooms are located on the second floor, overlooking the new football stadium area, and open to a suspended running track located directly above the new gymnasium and locker rooms. More than 75,000 square feet of extensive remodeling was performed to the science wing classrooms, cafeteria and kitchen, and auditorium. The project also included four new artificial turf fields, 12 tennis courts, three additional parking lots and two access roads. Work began May 1, 2016 and was phased and scheduled to occur during two summer periods as not to affect any learning environments during the school year. All projects were completed September 1, 2017. KA continues to lead the field of regional education construction projects and is currently ranked 9th in the nation in the construction of K-12 facilities by Building Design and Construction magazine. The company also remains the top construction manager of education facilities in the region, having completed K-12 projects totaling over $1 billion in the past five years.